OEM Orange5 V1.34 professional programming tool is newly released at www.obdexpress.co.uk. 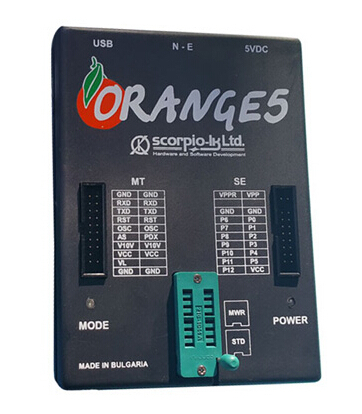 Orange 5 a professional progamming device for memory and microcontrollers,support for many softwares.Its unique feature is built-in macro language for writing down protocols, which gives fast and easy capability to add new types of micro schemes, precisely meeting manufacturers’ requirements to read/write algorithms. 5.Saving files including command and port settings. 7.File transfer via serial port. 13.Supports Orange5 programmer in emulation mode.